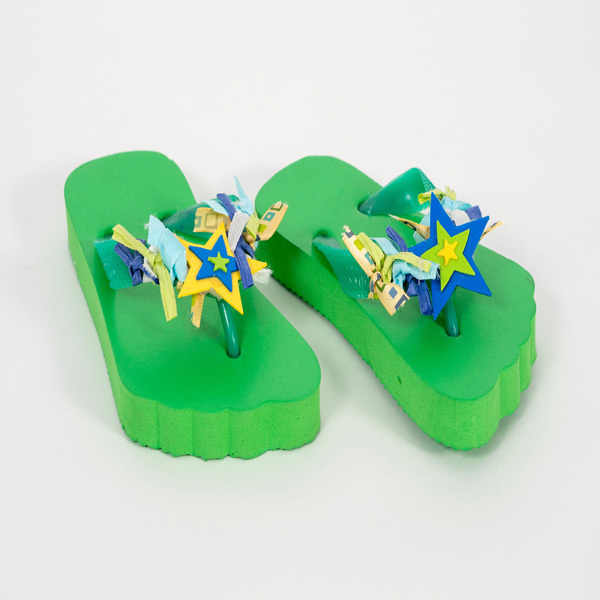 Project Description: Kick up your feet in festive summertime footwear embellished with Grafix Colored Shrink Film. Create, bake and decorate any way you choose! Grafix® Assorted Color Shrink Film 1 pkg. Bottle Aleene’s® Tacky Glue 2oz. Cut out shrink film shapes using your punches, scissors or die cutter. Embellish the shrink film shapes with permanent markers or paint pens and shrink according to the instructions on the package. Layer shapes for a color changing and dimensional look. Glue pieces together with tacky glue. To create embellishments for clogs, attach your shrink film pieces to shoe snaps with a dab of glue. 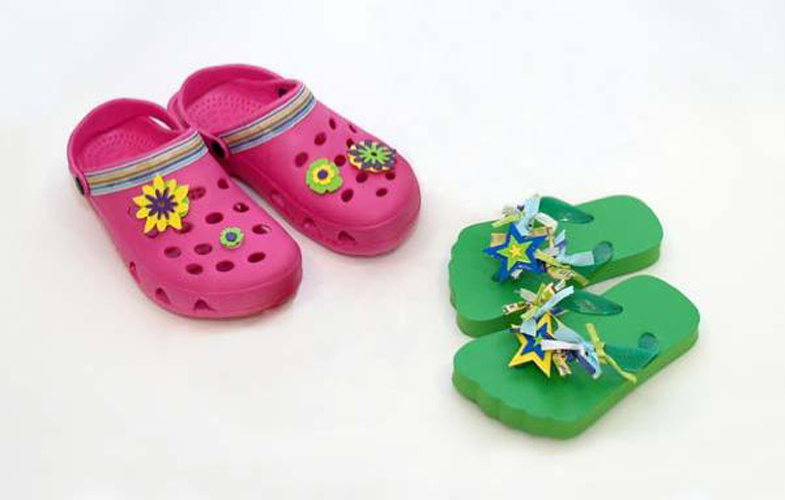 Decorate your flip flops and clogs with ribbons on the straps to add more color and flair.